The club's focus is dinghy racing that takes place on Sunday mornings (March-December) and Wednesday evenings (May-September). Racing is organised into a number of class or handicap fleets. Racing starts at 1030 on a Sunday and 1830 (or slightly earlier when the nights draw in) on a Wednesday. Racing is competitive but sailors of all abilities are warmly welcome and actively encouraged to join in. If you are new to dinghy racing, please speak to any club officer or more experienced club racer and they will be pleased to show you the ropes. Dinghy Week is the highlight of our sailing programme and comprises racing and social events for around 150 boats. Competitors come from Island and mainland clubs to race in a challenging but fun event. More details can be found on the website. The Junior Regatta is a two or three day sailing event for cadets aged 16 or under. The younger cadets are coached around short courses whilst the more experienced sailors compete in more challenging races. This is a great introduction to racing for all levels of ability. Cadets from across the island participate in this fun event. A number of fun sailing events are held throughout the year including picnic races and informal training sessions. 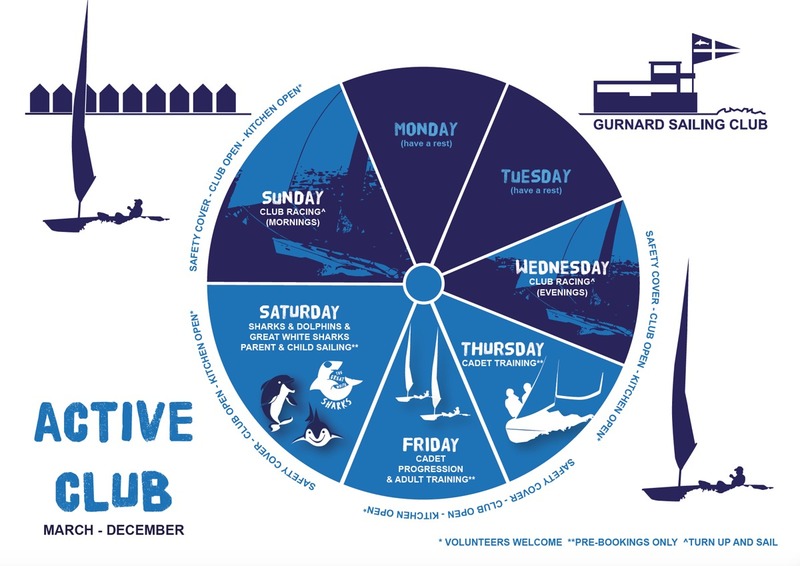 Dates for these events are on the sailing calendar and details are posted on the website.